Background: Orofacial clefts, such as the most common cleft lip and palate deformity, are more than just a cleft. The dysjunction of the lip and alveolus causes significant nasal deformities as well. 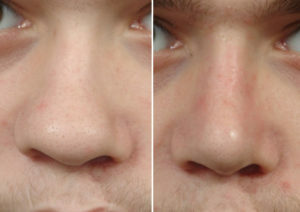 When the support of the tripod structure of the nose is disrupted beneath it, a wide variety of nasal bone and cartilage derangements occur. While clefting deformities affect the entire nose, its adverse effects is most manifest in the nasal tip…which lies just above the cleft lip and palate. The nasal tip cartilages end up being affected by the twisted septum that lies behind it and the lack of alveolar and pyriform aperture bone that lies beneath it. While it may be an oversimplification to describe their impact on the nasal tip as tilting of its tripod shape, that is probably the best way to perceive it. With the septum deviated away from the cleft and base of the tripod being under projected on the side of the cleft (in unilateral clefts) it is easy to see how the cleft nasal tip looks the way it does. Management of the cleft nasal deformity has been done at various times throughout the growth of the patient. Some surgeons advocate a primary rhinoplasty at the time of the initial cleft lip repair while others prefer to wait until the teenage years to address it. But regardless of what may be done along the child’s growth to adolescence, no early rhinoplasty efforts ever provides optimal improvement. The definitive and often optimal rhinoplasty result comes from what is done in mid- to late adolescence when facial growth is more complete. Case Study: This teenage male was born with a left complete cleft lip and palate deformity. He had primary lip, alveolar bone grafts and palate repair by one year of age. He had a tip rhinoplasty at age seven. He presented as a 15 year old teenager with a nasal deformity marked by a wide tip, slumping left ala, and depressed and widened nostril base. Under general anesthesia and through an open approach, the septum was initially treated by straightening and graft harvest. A long columellar cartilage strut was placed from the anterior nasal spine up through an increased dome height to which the two alarm cartilages were attached. This narrowed the right non-cleft ala and elevated and narrow the cleft ala. A batten graft was placed to further support the left ala. 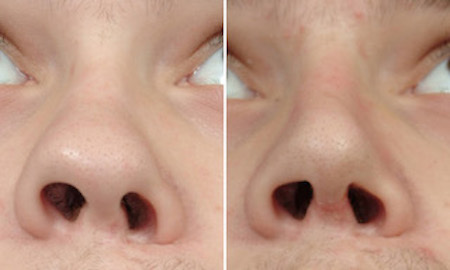 The left nostril based was elevated with an ePTFE implant and the nostril based moved inward. 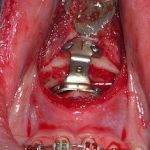 Cleft septorhinoplasty in an adolescent provide good improvement albeit never perfect symmetry. The degree of nasal deformity and the thickness of the nasal skin all influence the quality of the final aesthetic result. 1) The unilateral cleft nasal tip has a variety of deformities including inferolateral displacement of the alar and nasal base. 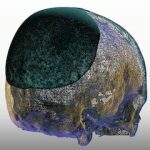 2) An open rhinoplasty with skeletonization of the nasal tip cartilages provides the access needed for more symmetric reconstruction.